Oxford Properties Group says it is the first in the retail industry in Canada to allow customers to use their WeChat Pay and Alipay mobile wallets in 11 Canadian shopping centres in Ontario, Quebec and Alberta, affiliated hotels and other travel partners. The two Chinese mobile payment services work by linking with users’ debit and credit cards, providing a platform for peer-to-peer transfers and enabling purchasing in renminbi, the company said Monday. Together, the apps have more than 1.2 billion active users around the world. Oxford piloted WeChat at its flagship Yorkdale Shopping Centre in Toronto earlier this year and said it received “overwhelming” positive feedback from customers and retailers. 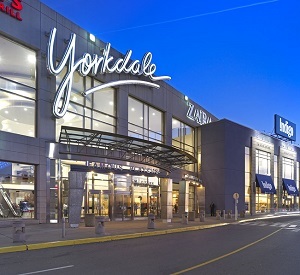 The mobile wallets will be accepted in Oxford’s major shopping centres across Canada, according to Lucia Connor, Oxford’s director of strategic marketing: Yorkdale, Square One, Scarborough Town Centre, Upper Canada Mall and Hillcrest in the Greater Toronto Area; Edmonton City Centre, Southcentre and Kingsway Mall in Alberta; Quartier Dix30, Les Promenades Gatineau and Les Galleries de la Capitale in Quebec. Paying for purchases using WeChat Pay or Alipay isn’t seamless — the mobile wallets aren’t accepted at individual retailers, only at guest services centres. Customers who want to use the mobile wallets have to visit a guest services location in the shopping centre to buy gift cards matching the amount of the products they are purchasing. The gift card(s) can be purchased for any amount — for example, if a customer makes a purchase for $125.79, that exact amount can be purchased on the gift card. The maximum purchase which can currently be accommodated is Cdn$7,500, she said. “All of our tenants accept the Oxford gift cards, so that is how we are able to get over a payment hurdle,” and ensure all retailers are able to accommodate mobile wallet payments. Connor said Oxford will expand its acceptance of the mobile wallets to all its urban retail centres next year. The move is significant for two reasons. First, it opens mobile pay options to customers paying in currencies other than Canadian dollars, which could have a significant impact with tourists and other visitors. Second, according to the 2011 census (as quoted in The Canadian Encyclopedia), there were more than 1.3 million Canadians of Chinese descent. This represents one of the largest ethnic groups in the country. The majority have settled in two of Canada’s largest cities, Toronto and Vancouver, where Oxford owns several of its retail properties. The popularity of mobile payments continues to grow, but the segment of the overall population in Canada using mobile wallets remains relatively small. In a Nielsen Canadian survey conducted in late 2016, 29 per cent of respondents said they actively used their smartphone for mobile payments. But, only 57% of those users said they were also using mobile wallets — meaning about 16 or 17 per cent of the overall population was using the payment option. The survey said two-thirds of those who did pay via mobile phone, but did not currently use a mobile wallet, planned to try the apps within six months. Connor said at this point Oxford has no specific timeline for incorporating other mobile wallets into its payment systems. “We are always working on opportunities to further mobile wallet payment options – at this time, this is our first venture into mobile wallet payment,” she said. Oxford manages more than $40 billion of real estate assets on behalf of its co-owners and investment partners, with a global portfolio spanning over 60 million square feet. The company has offices across Canada and in London, Luxembourg, Boston, Washington, D.C., and New York, with regional investment, development and management professionals. Oxford is the global real estate arm of OMERS, the pension plan for Ontario’s municipal employees. Need to know more information about mobile wallets? Here’s a Government of Canada information page.